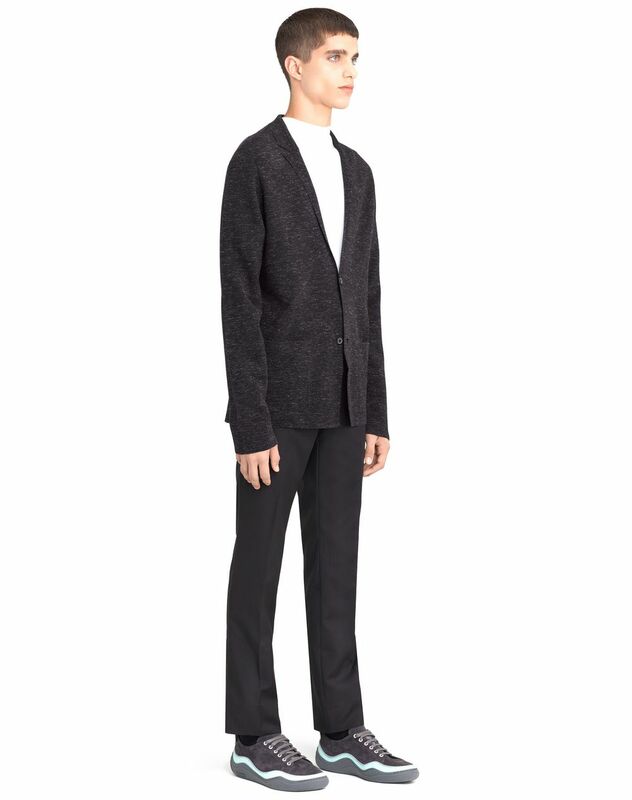 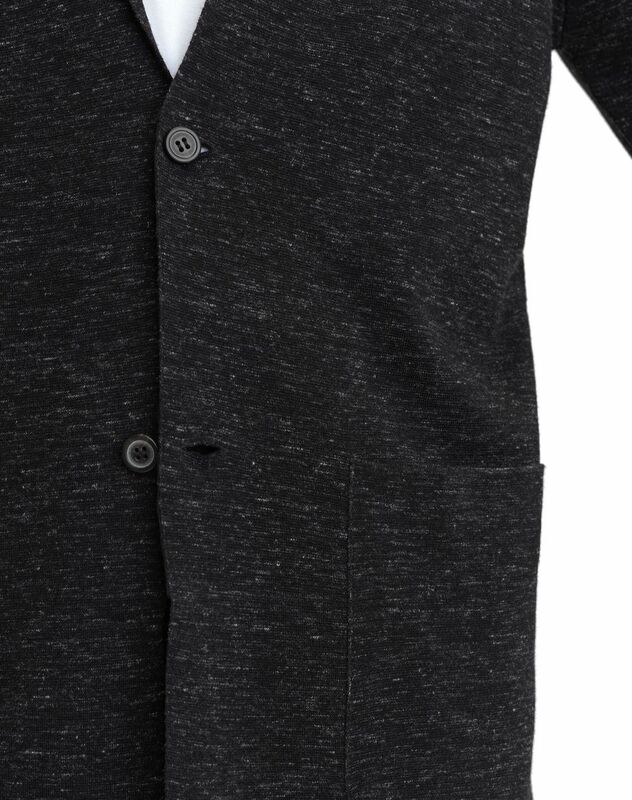 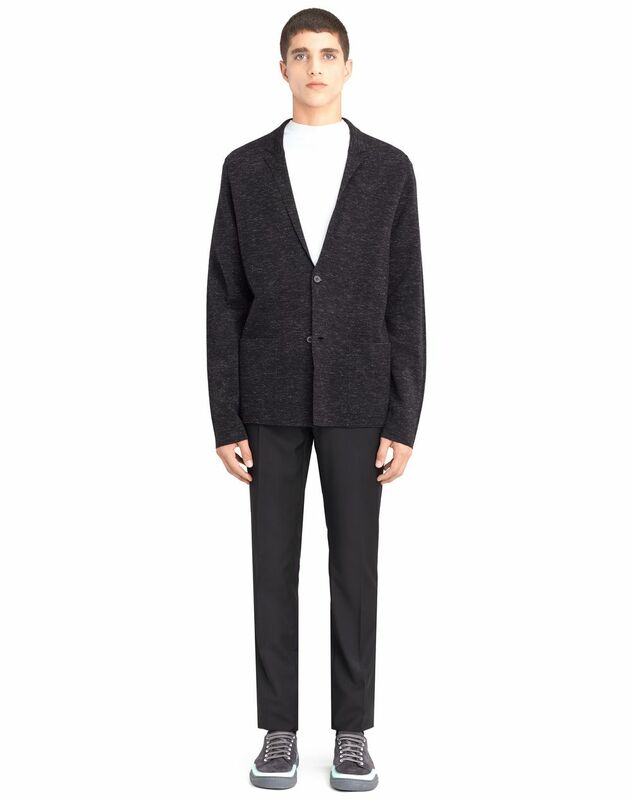 Milano knit wool and silk cardigan, tailored collar, soft shoulders, patch pockets, and closure with two horn buttons A must-have of the Lanvin men’s wardrobe, this Milano cardigan was inspired by the details of a tailored fit. 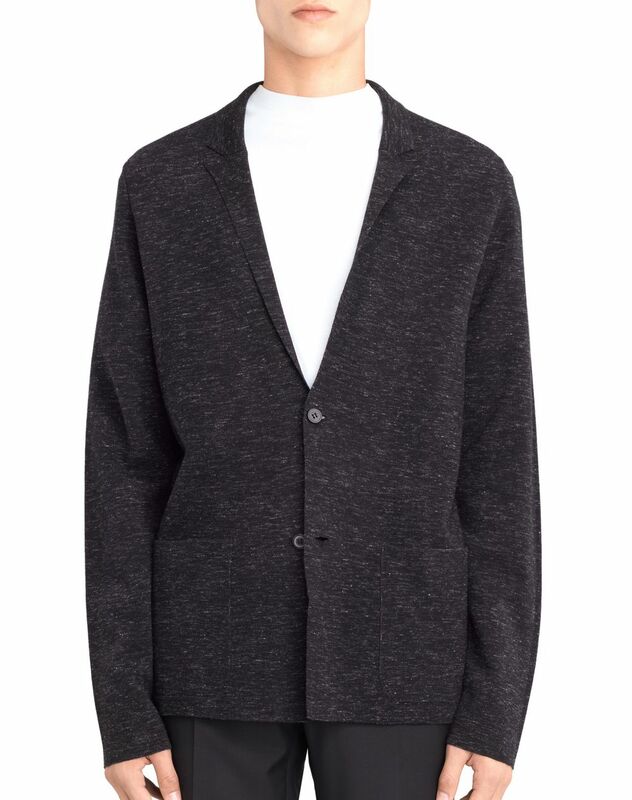 Casual and modern, this piece can be paired with a T-shirt for a fashionable yet relaxed look, or with a button-down shirt for a modern, elegant feel. 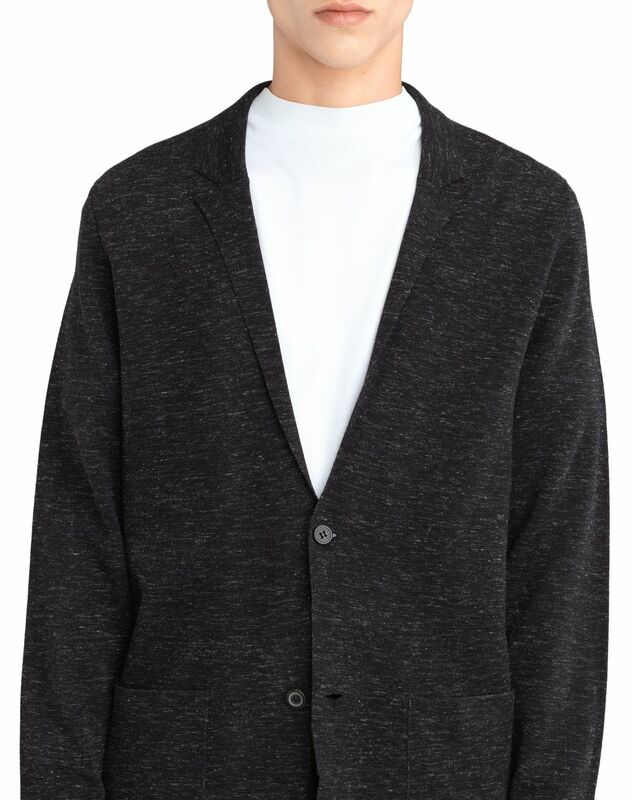 Main material: 50% wool knit, 40% silk knit, 10% linen knit. 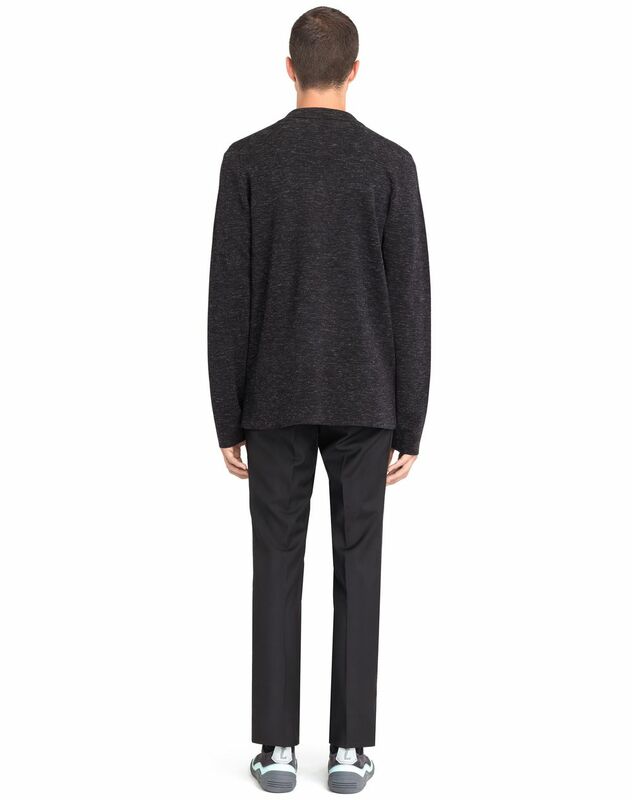 Model's measurements: Height: 6’ 1” Chest: 34” Waist: 28” Hips: 37.5” Model wears a size S. Made in Romania.